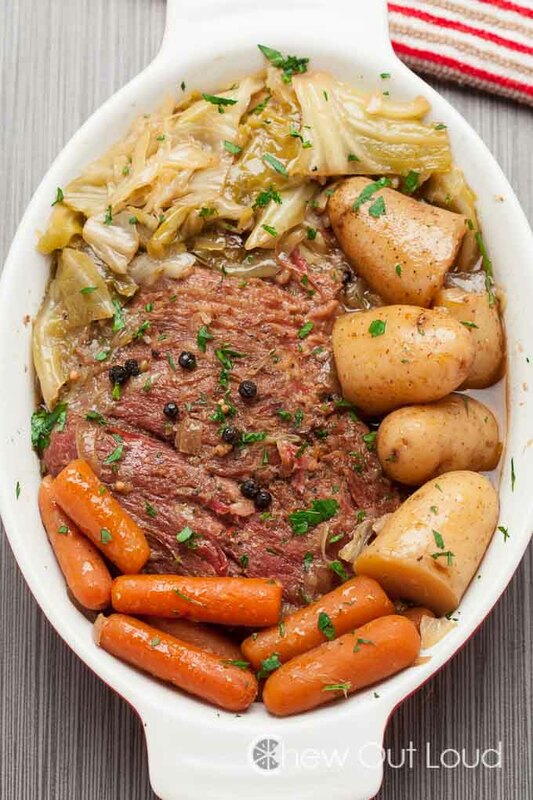 This Slow Cooker Corned Beef with Cabbage is a great all-in-one meal. It’s super easy, tasty, and amazingly fork-tender. This Slow Cooker Corned Beef with Cabbage results in fork-tender beef that doesn’t even need to be cut with a knife! The veggies are flavorful and tender, and potatoes are succulent. Extra sauce is great for pouring over noodles, if you like. 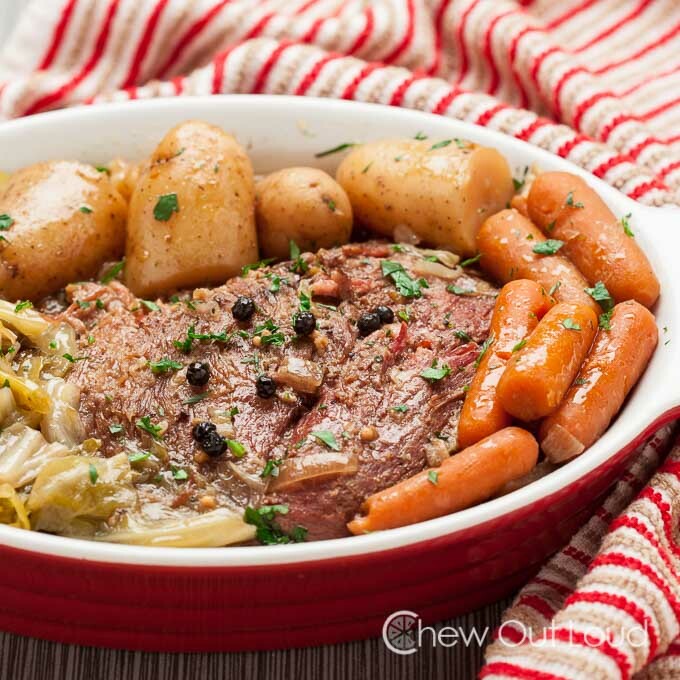 This Slow Cooker Corned Beef with Cabbage is incredibly fork-tender. Like, I couldn’t even slice it across the grain because it was that tender. If it weren’t boneless, it’d be falling off the bone. ‘Course, if you prefer to slice yours rather than shred with a fork, simply shave off some cook time. 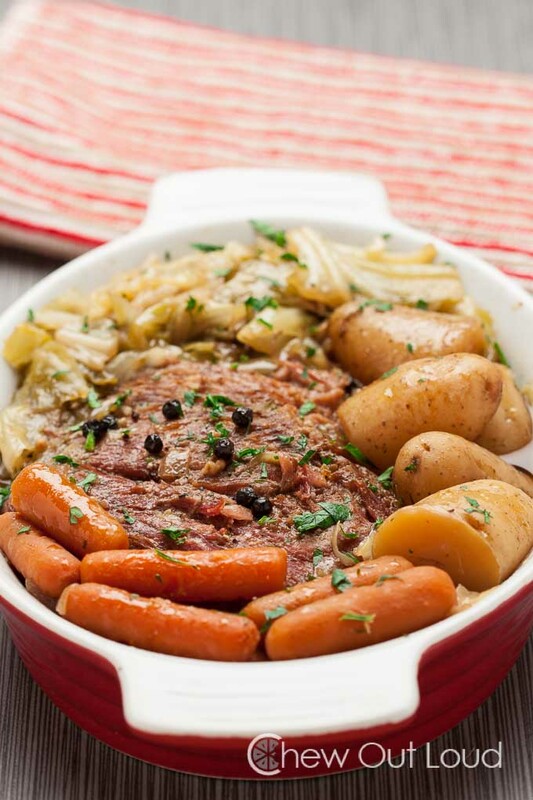 In a large slow cooker, place baby carrots and onion into the bottom. Place corned beef on the veggies. Pour in the beef broth over the meat/veggies. Add the beer, garlic, and peppercorns. Sprinkle on the contents of spice pack that came with your corned beef. Cover and cook on low for 10 hours.